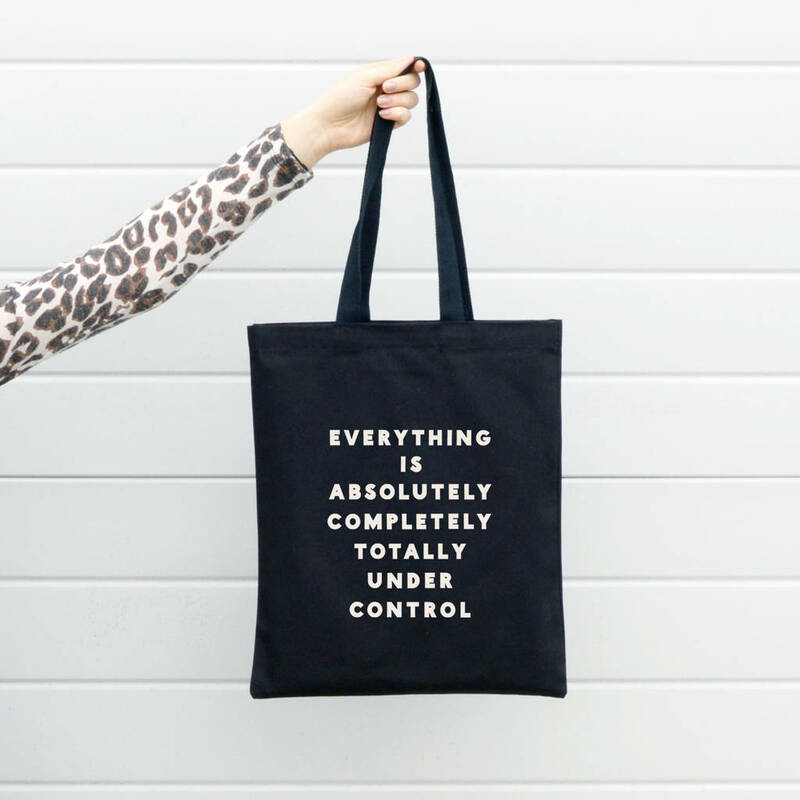 Everything is absolutely, completely, totally under control! 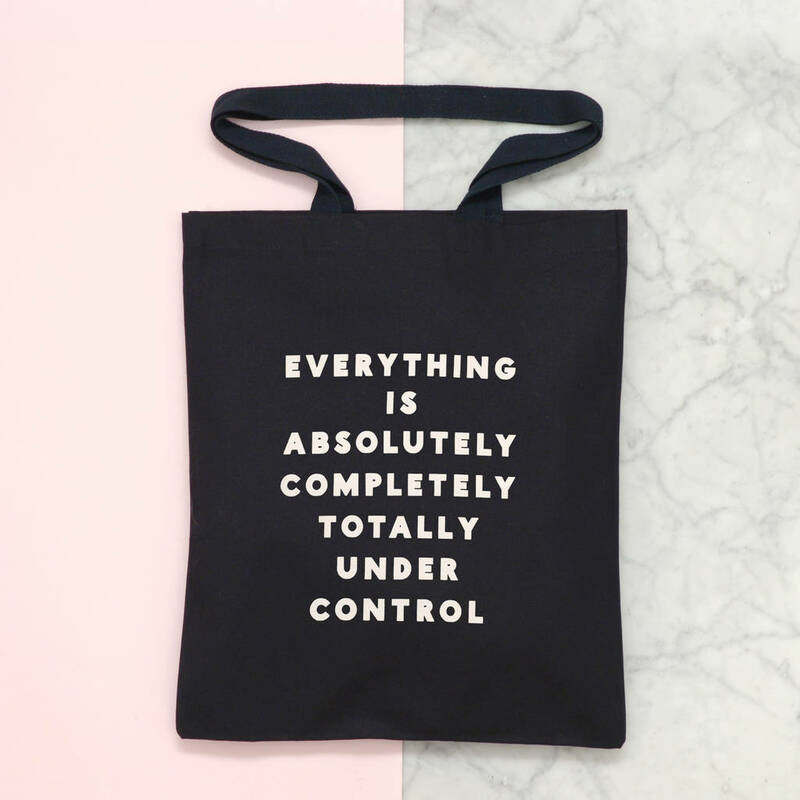 Even if this isn't the case (let's face it, it usually isn't) you can carry this tote with complete confidence that everything looks as if it's under control. The 'Everything is absolutely, completely, totally under control!' 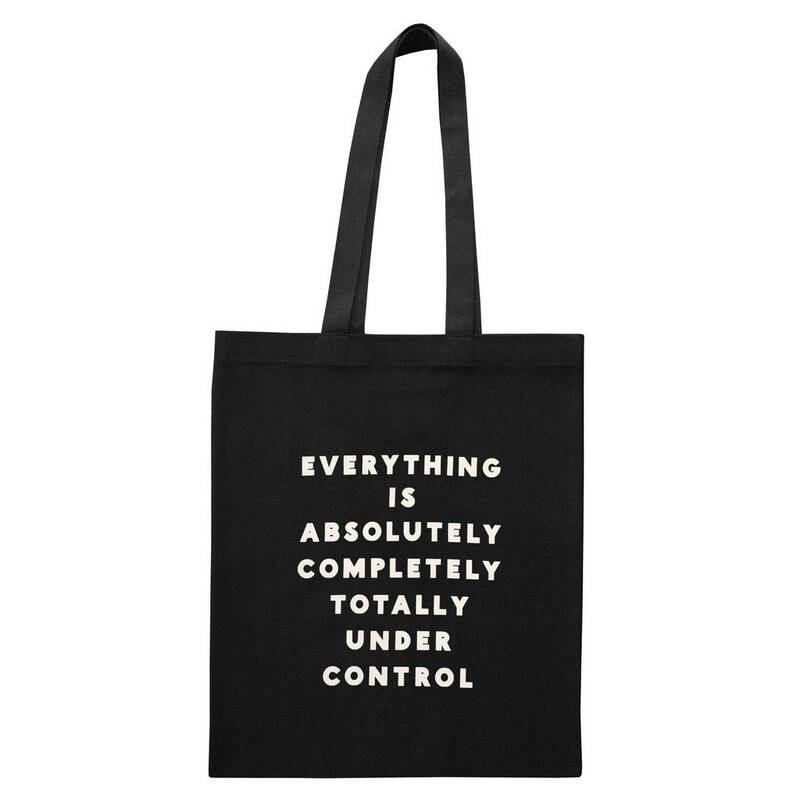 design has been printed in white onto a heavy black tote bag. 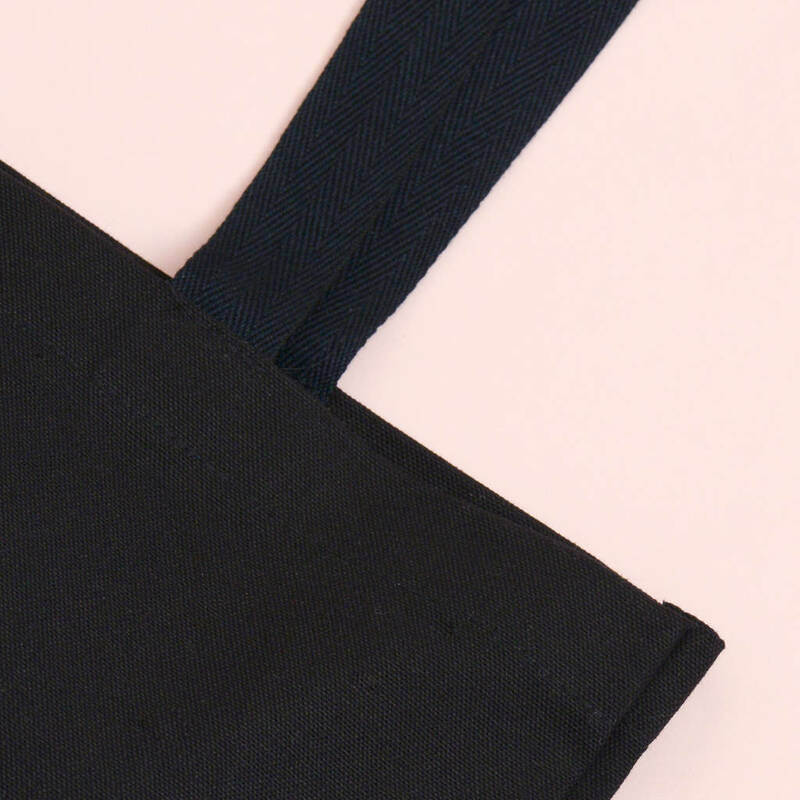 Our bags have mid-length straps which are ideal for being carried by hand or over the shoulder.